Nearly everyone enjoys getting mail, even in the digital age. But Domtar has a particular interest in mail delivery and the success of North American mail services. Domtar moves around 30 percent of the products it makes through the U.S. Postal Service and Canada Post. All together, more than one-third — around $6 billion worth — of the communications papers manufactured by the pulp and paper industry are delivered through these services. Given the large stake Domtar has in the success of mail services, particularly in the United States, we are strong advocates for comprehensive postal reform legislation. Such legislation would help the Postal Service, which is currently self-funded become more sustainable. Earlier this year, Kathy Collins, general manager of the Rothschild Mill, testified before a Congressional committee about postal reform on behalf of the American Forest & Paper Association, of which Domtar is a member. She spoke about the business realities and future viability of the Postal Service and its relationship to the paper industry at large. “Domtar and the larger paper industry support legislative measures that will help the Postal Service achieve long-term viability by realigning its outdated cost structure, encouraging new revenue sources and leveraging its unique infrastructure to meet the service needs of future customers,” she told the committee. The Postal Service is a uniquely American enterprise. Its infrastructure enables our customers — which includes our printers, direct mailers and publishers, whether they’re multinational corporations or mom-and-pop companies — to conduct business with every household in this country through printed communications. In fact, the Postal Service delivers more mail to more addresses in a larger geographical area than any other postal service in the world. It operates the largest retail network — larger than McDonald’s, Starbucks and Walmart combined — in the United States, and it processes and delivers 47 percent of the world’s mail. But just as the pulp and paper industry has had to make changes to help it thrive in the 21st century, the Postal Service must also adjust. Tom Howard, Domtar’s vice president of government relations, regularly advocates for a more sustainable U.S. postal system through postal reform legislation. 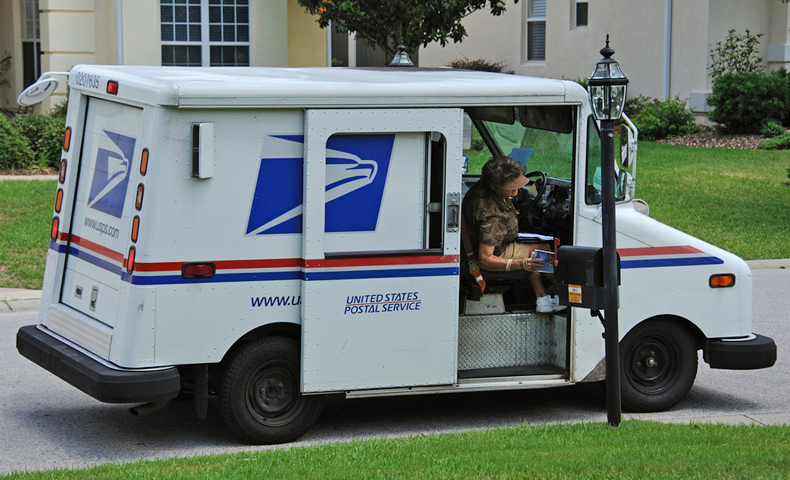 The Postal Service must align labor costs, benefits and future obligations — especially as they relate to retiree health care — with market competition. Postal facilities must adjust to the evolving realities of communications and business transactions while ensuring the service needs of postal customers are met. Rate stability and predictability are bedrock requirements for businesses to stay with mail. Congress and the Postal Service must recognize that raising prices while reducing service is not a successful strategy to address declining demand. Mail must be cost-competitive for businesses to continue to use it. Future rate-setting should include checks and balances that provide price predictability for mailers and cost-control incentives for the Postal Service. Reliable service is essential if mail is to compete with other communication options. Timely delivery must be maintained for mail to deliver its key value proposition. Service standards changes should realistically weigh cost savings against customer expectations, or mail will become increasingly less relevant. The Postal Service should leverage its unique infrastructure and have the flexibility to innovate and develop new revenue sources. There is value in increasing the revenue yield of traditional products and customers as well as diversifying into other business opportunities.